You agree that you are of legal age, for the governing laws that apply to you, to visit our website, and/or purchase products from us. This means at least 13 years old, and in some areas / countries, the age may be higher. You represent you are old enough by visiting the site, or making a purchase. 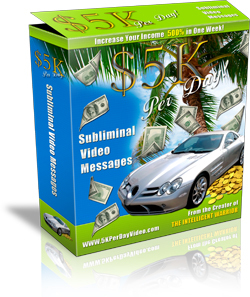 If you purchase a subliminal video from us, at our low prices, there are no refunds. If you would prefer to purchase directly from Nelson Berry through Clickbank, where they have a return policy, if you contact us, we can help you find the right site to do so from. By visiting our site, and/or making a purchase, you are agreeing to our terms.